Aizawl, Nov 9 : People's Conference (PC) party led by former deputy chief minister Lalhmingthanga on Thursday merged with Mizo National Front (MNF), the main opposition party in Mizoram. 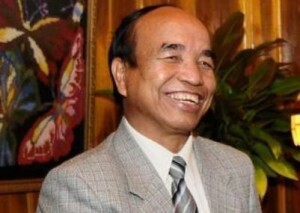 MNF is led by former chief minister Zoramthanga. The merger was officially announced in a crowded public meeting held here which was addressed by Zoramthanga, Lalhmingthanga and other leaders from both the parties. The merger was seen as an important development in view of the coming state Assembly polls next year. PC party was the break-away group of Mizoram People's Conference (MPC) led by Lalhmangaiha Sailo, a retired Indian Revenue Service (IRS) officer and son of the former chief minister Brig T Sailo.